Being a military wife is tough. We go through many seasons in our life: seasons of moving, seasons of deployment, of waiting, of saying good bye and of establishing new friendships. 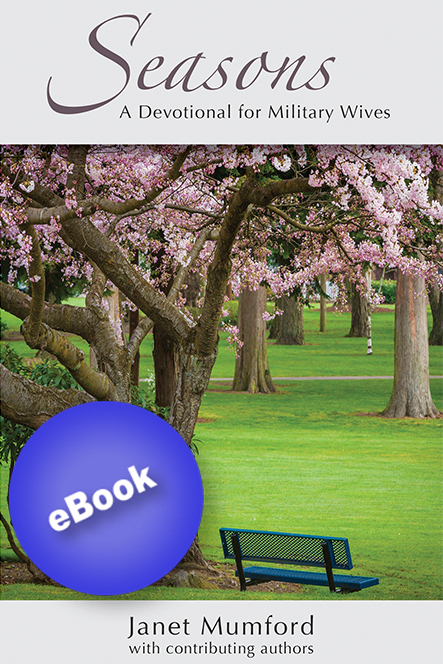 This devotional is a collection of experiences and encouragement from Australian military wives for Australian military wives that reflects the tough times, the great times, the sad times and the victories. At the heart of the stories is the enduring truth that God is faithful and loving toward those who accept the joys, loneliness and challenges of military life. All proceeds from the sale of this book go towards supporting Australian military wives.